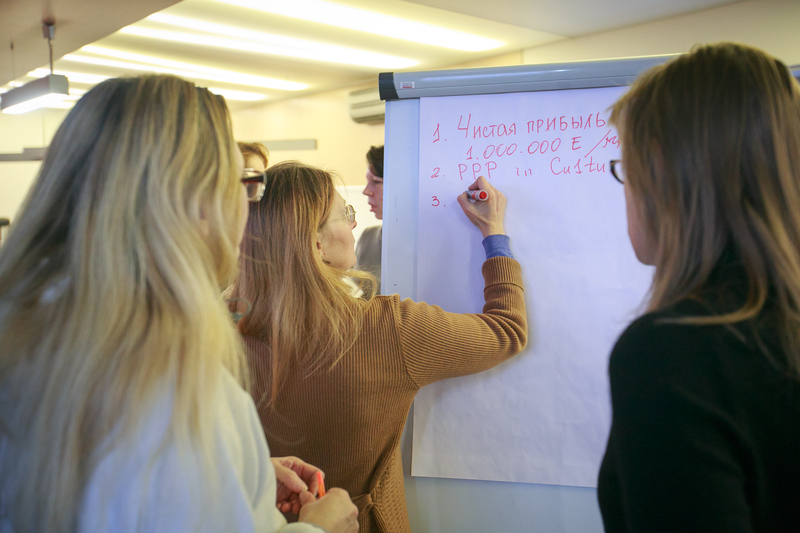 Can Belarusian culture make $1,000,000 an hour? 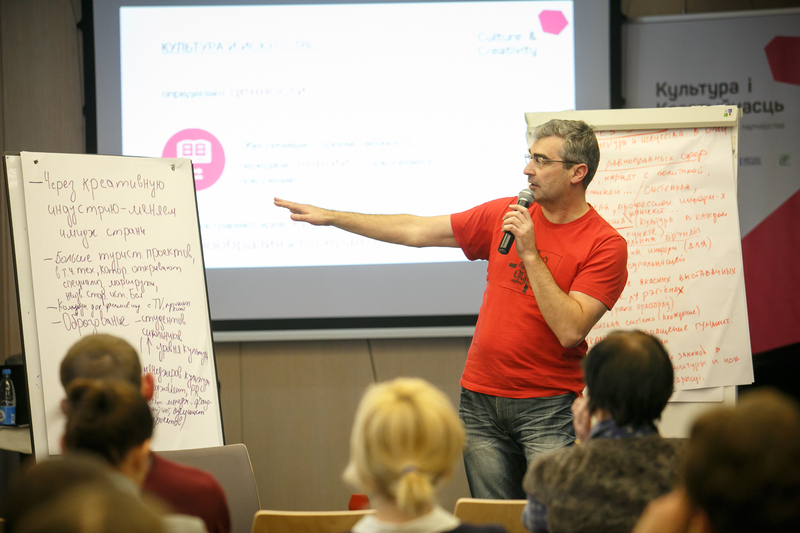 How and where can Belarusian managers and marketers in the sphere of culture learn the principles of effective work? 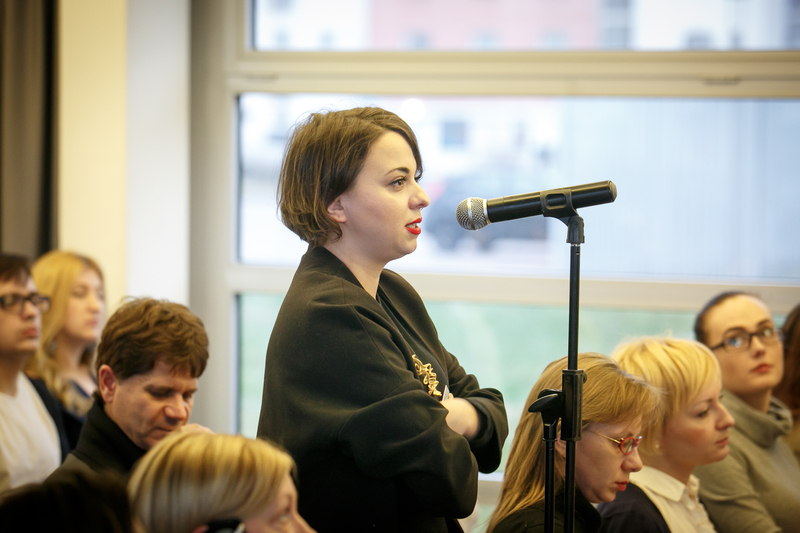 These and many other questions were discussed by the participants of the EU-EaP Culture and Creativity Programme open session held on 17 December, 2015 in Minsk, Belarus. 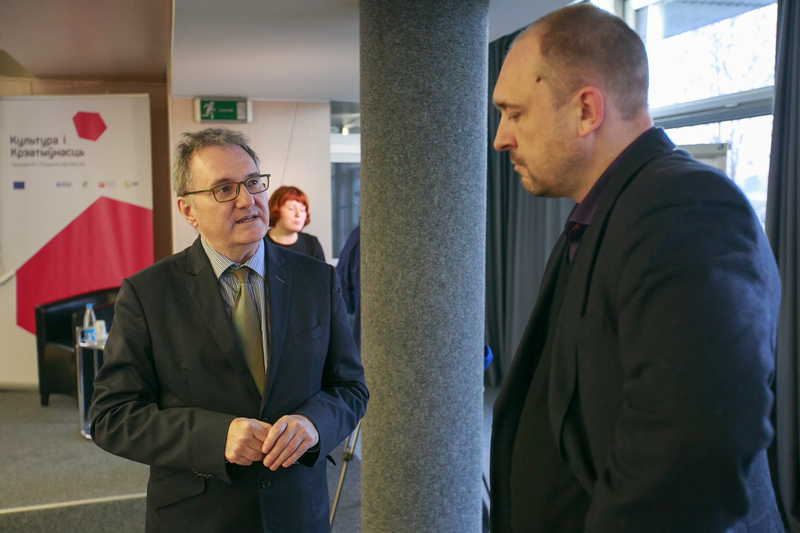 “The cultural sphere has great importance in EU countries. 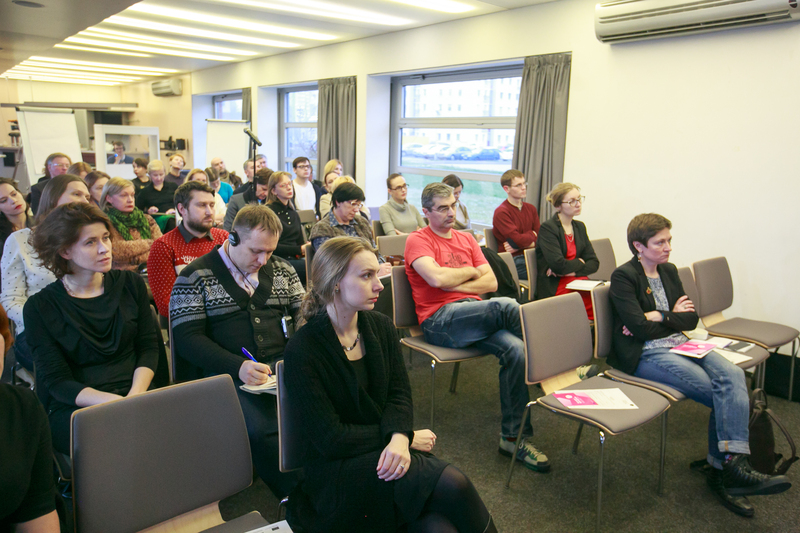 For example, more people are involved in the cultural sphere than in mechanical engineering. 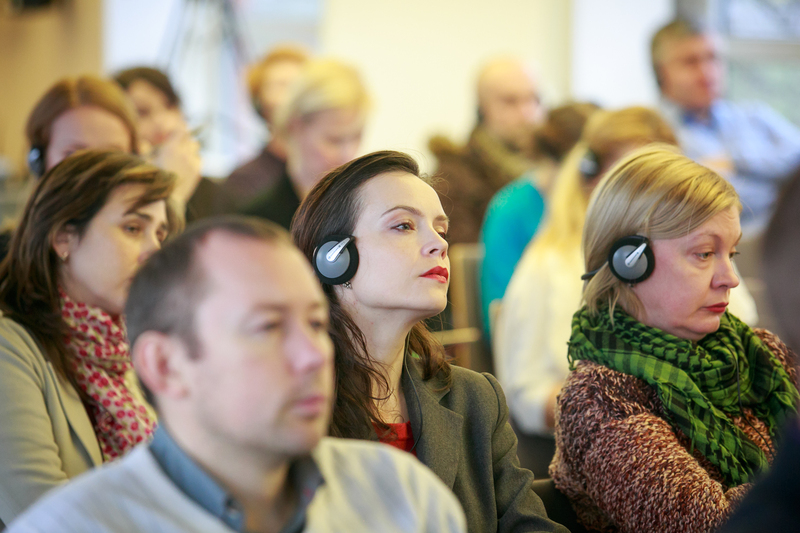 It is believed that in the UK the creative industry earns 11 million Euros a day. 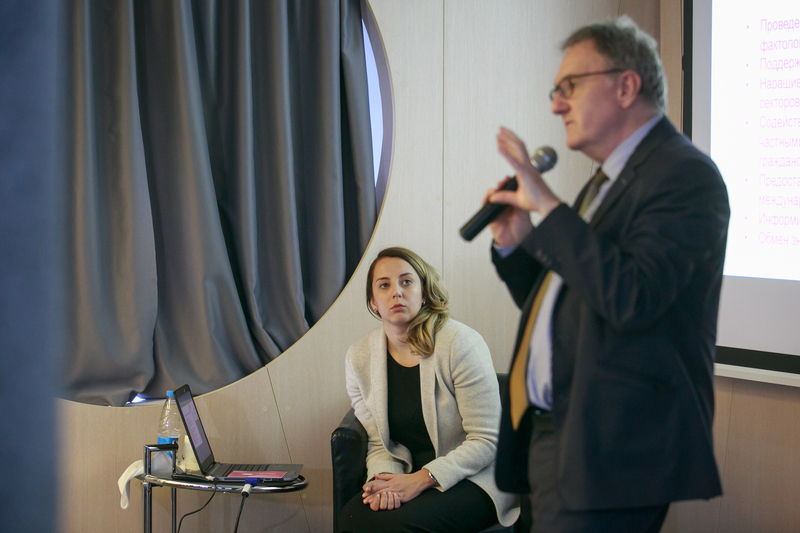 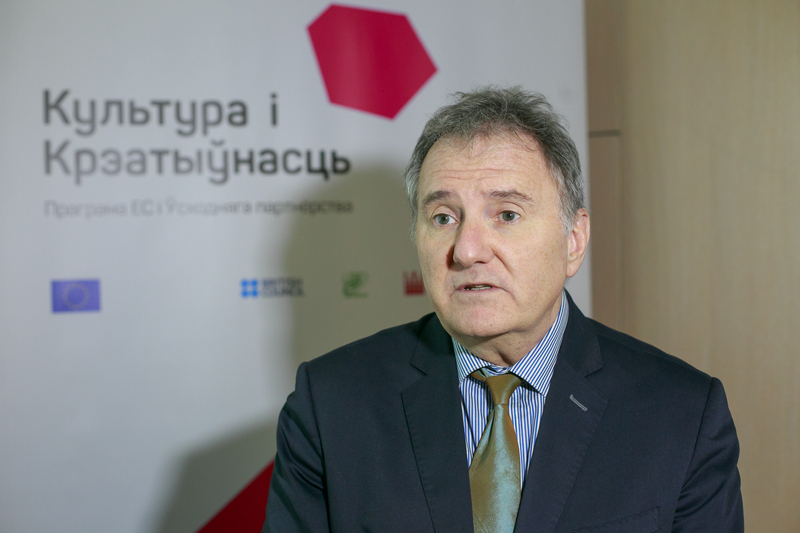 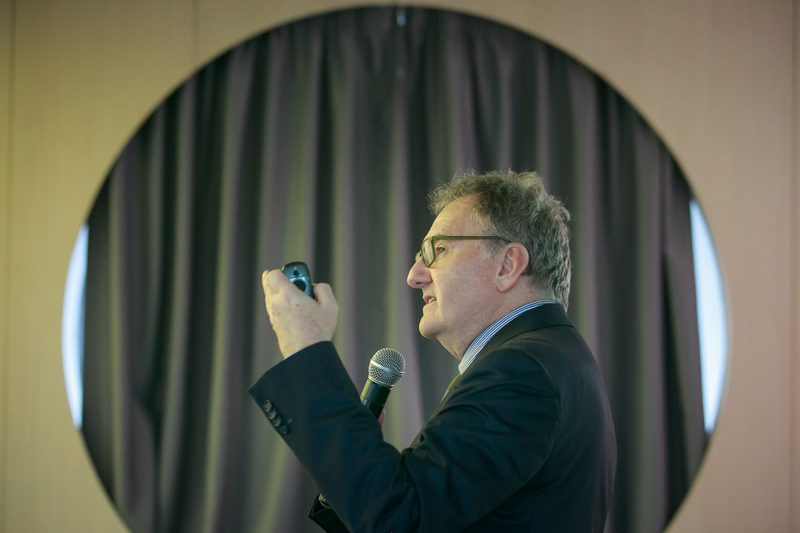 We would like to share this experience with Eastern Partnership countries and Belarus,” said Tim Williams,the head of the Culture and Creativity Programme and education specialist (UK) at the opening of the Minsk meeting. 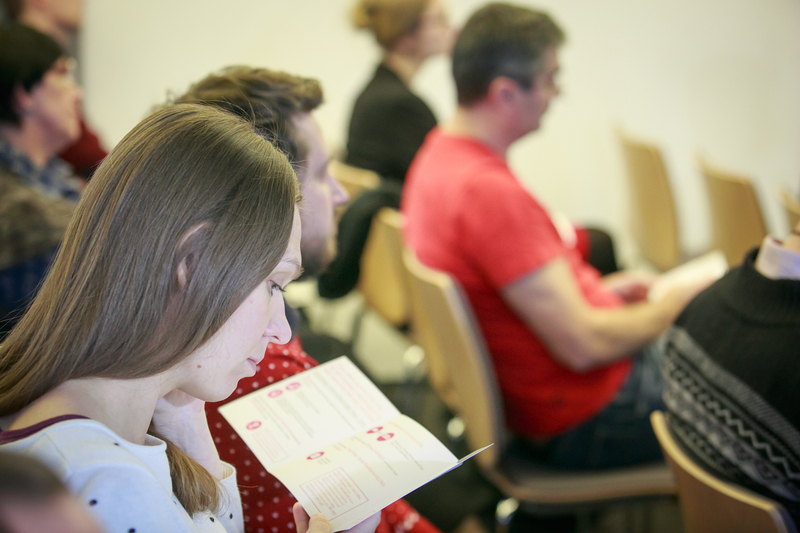 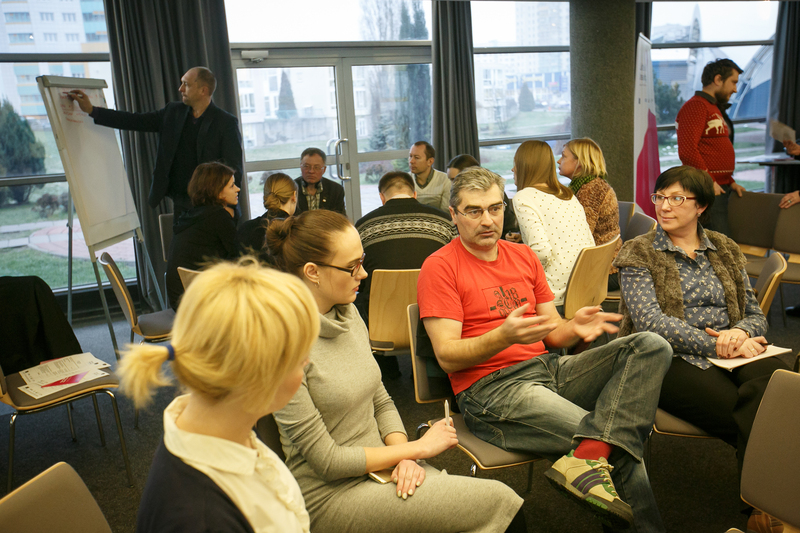 The Programme meeting brought together key creative sector professionals in Belarus. 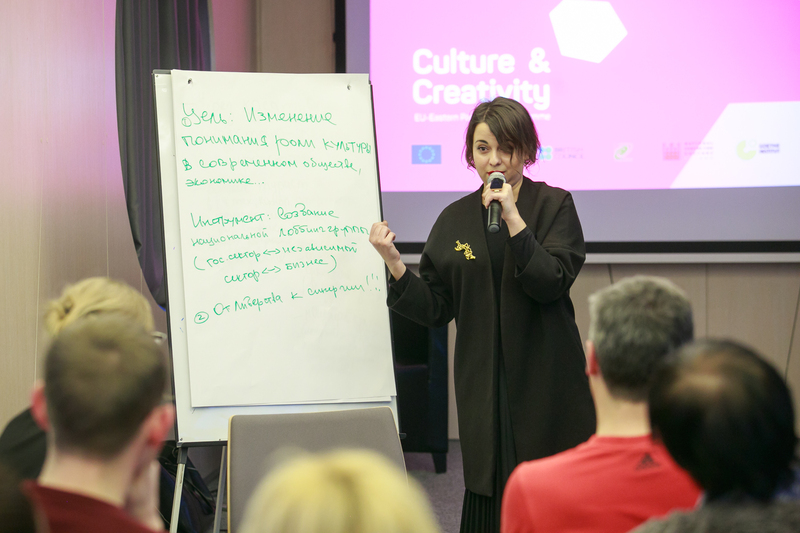 “We hope that the new Programme will introduce our culture professionals to leading international practices, allow the formation of a network of cultural leaders in Belarus and contribute to increasing culture’s influence on society,” said Anna Derevyanko, coordinator of the EU Culture and Creativity Programme in Belarus. 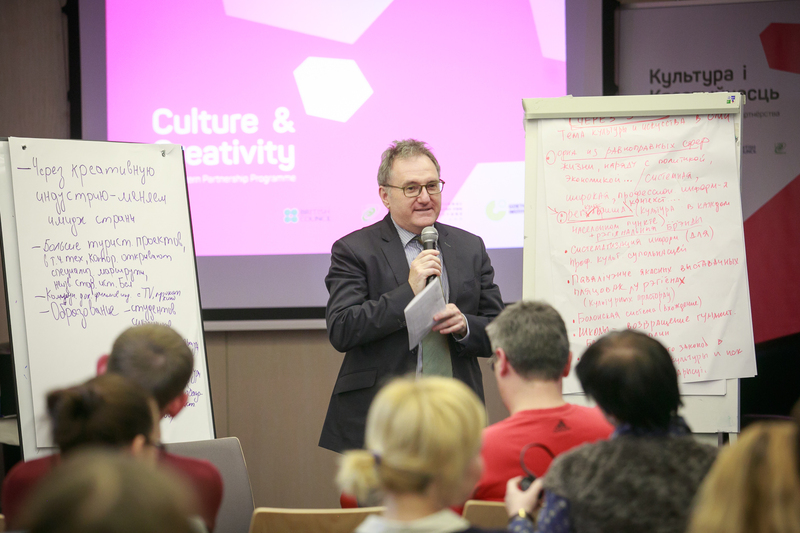 The coordinator also noted that for the participants of the EU Culture and Creativity Programme the concept“creative industry”means cultural spheres that can be developed in accordance with entrepreneurship and business rules. 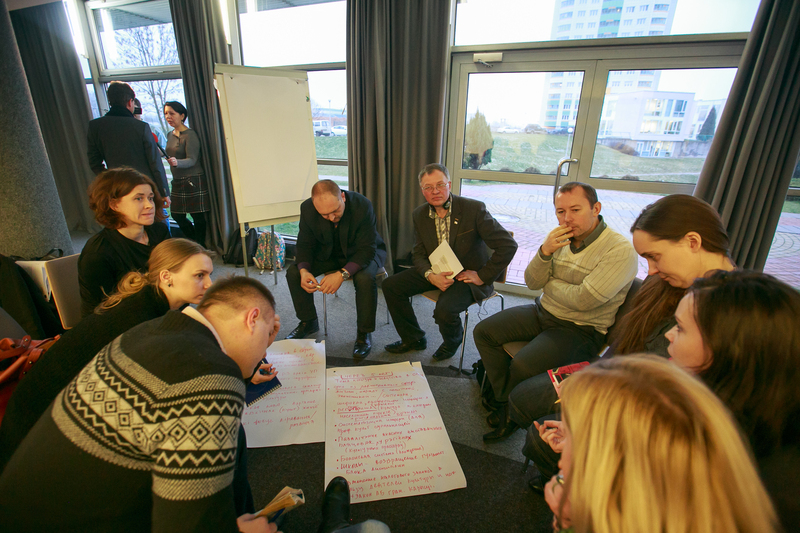 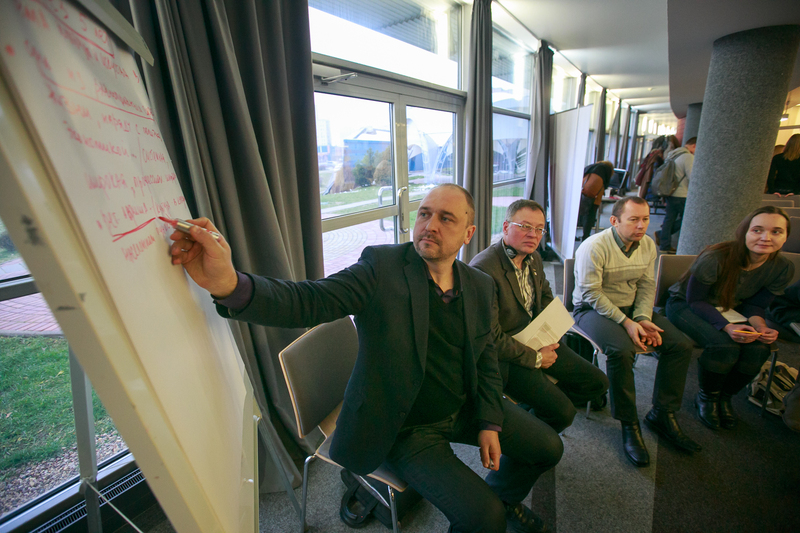 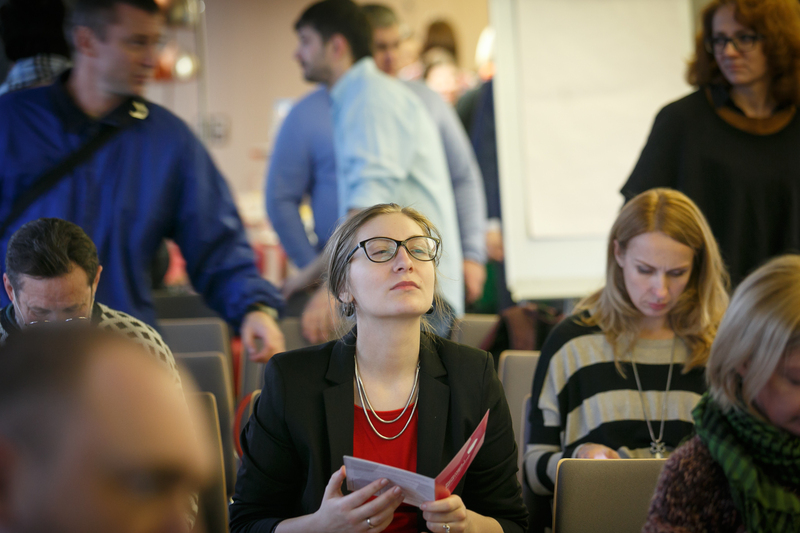 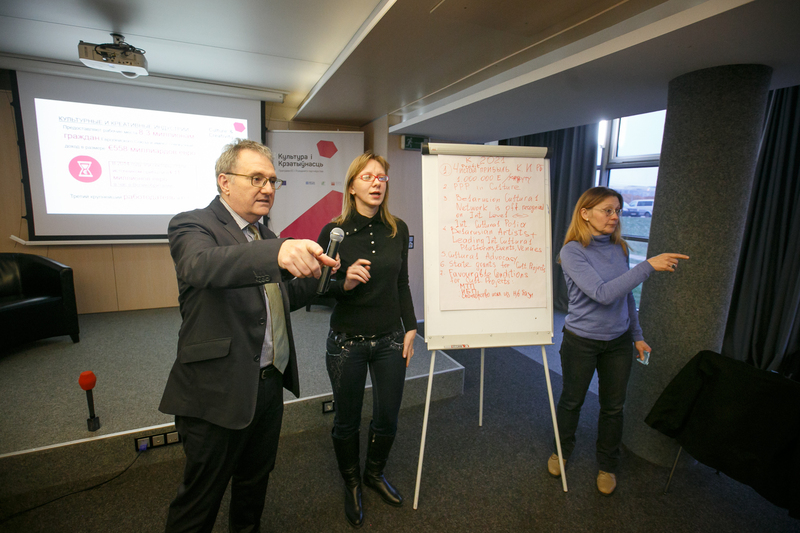 During the discussion, participants were asked to form groups and brainstormtogether on the topic of how can the development of the cultural and creative sectorchange Belarus in 5 years? 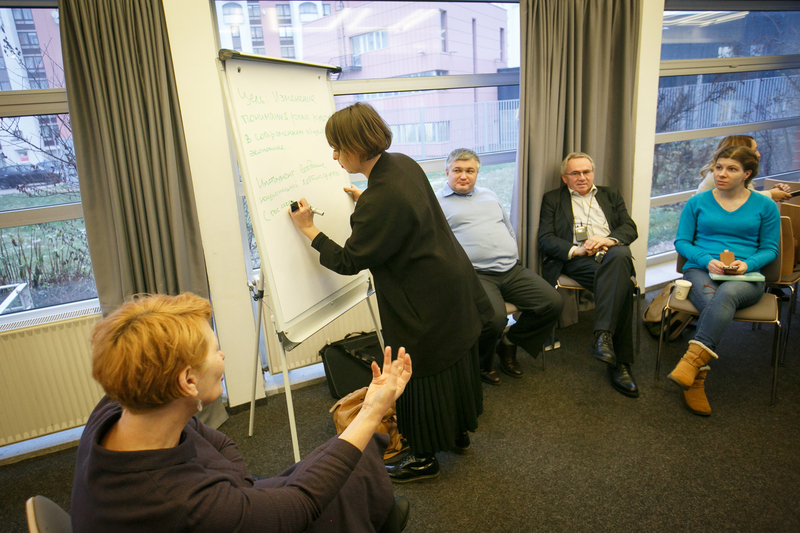 How can culture and creativity influence society? 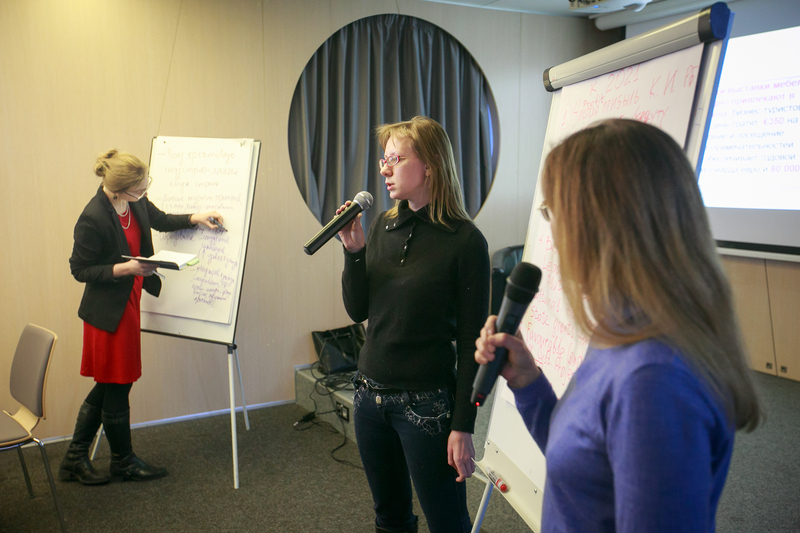 Each group presented its results. 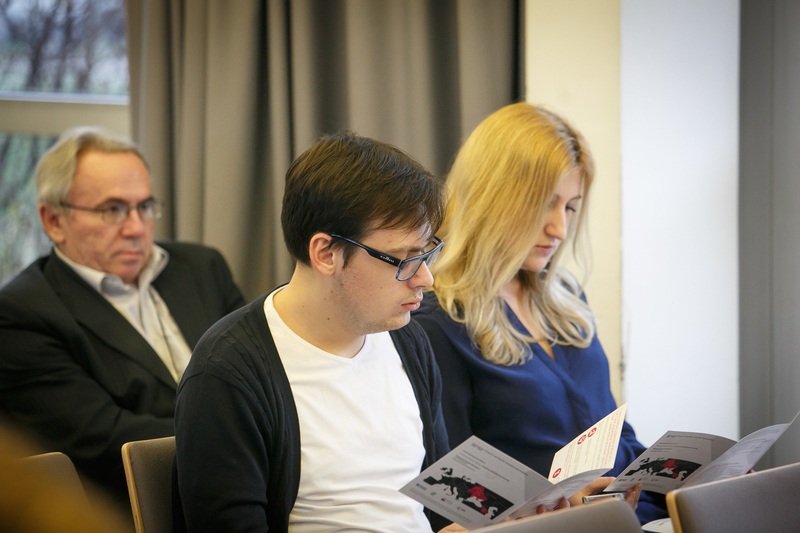 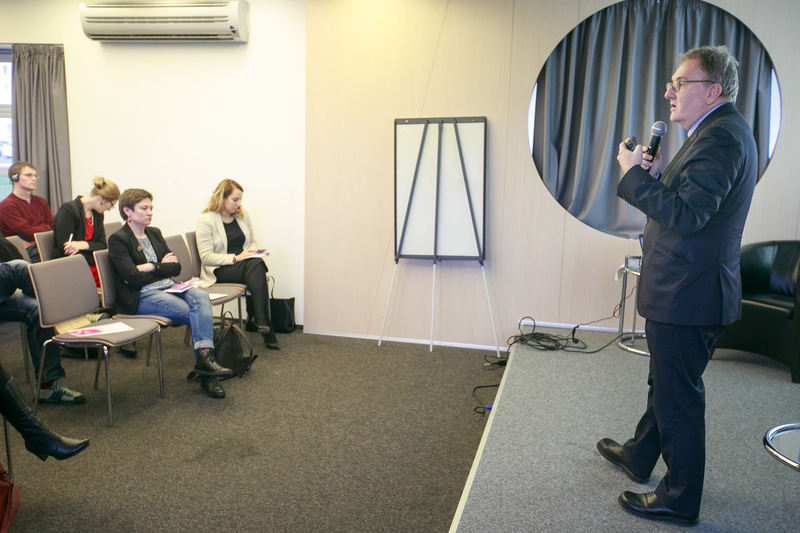 Participants of the meeting noted the need to create a national lobby in Belarus that would contribute to promoting the priorities of the cultural sectorin society and that could influence government policy. 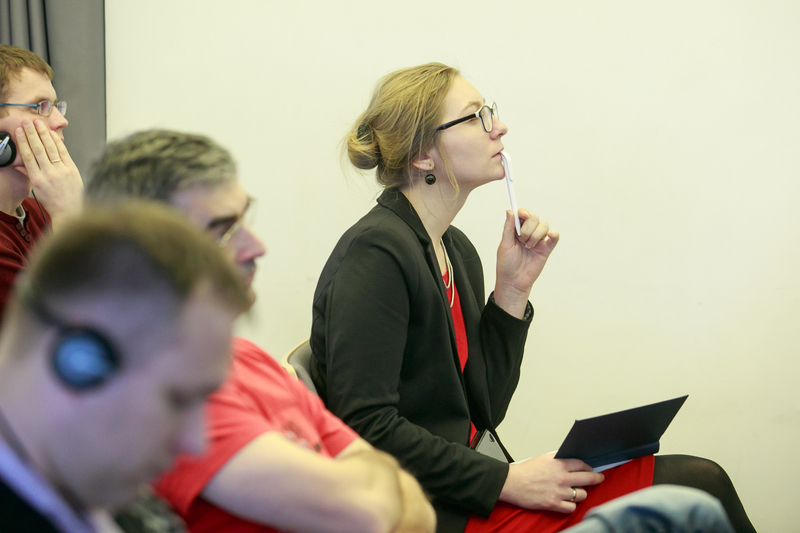 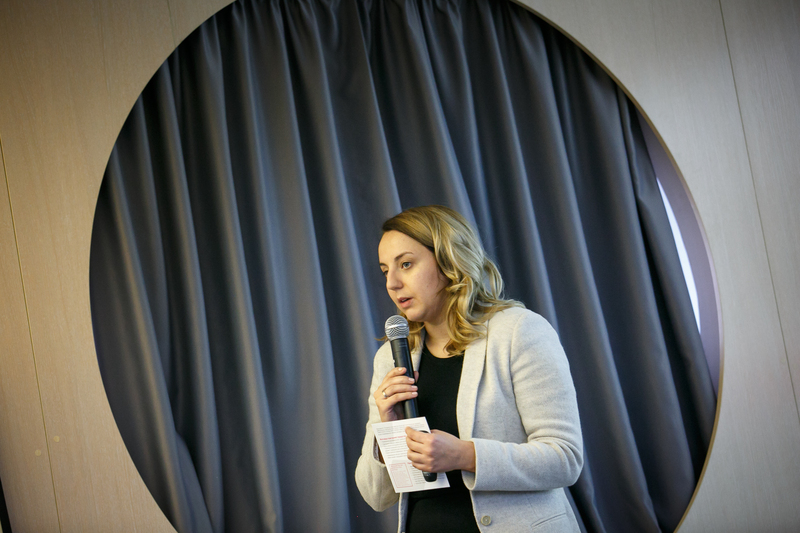 Elena Ogorelysheva, a project specialist in the “New Eurasia”(Minsk) information and education institution believes that the development of creative industries can change Belarus’s image. 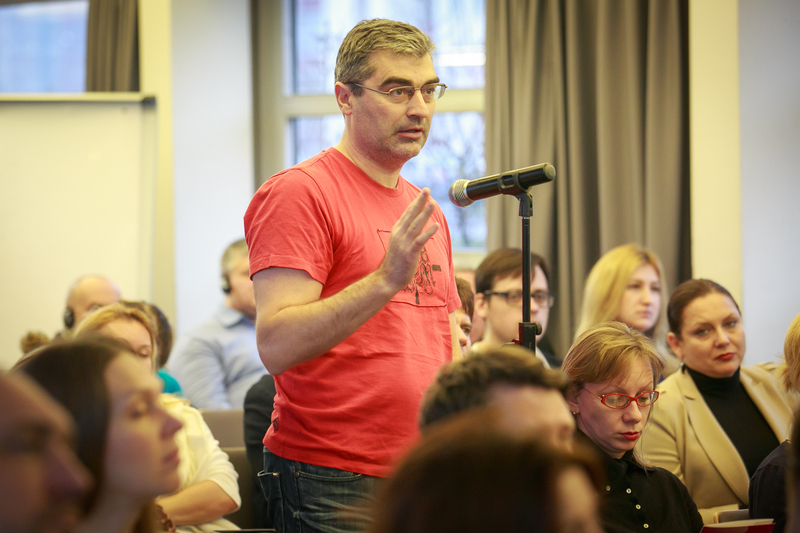 But this has not happened so far. 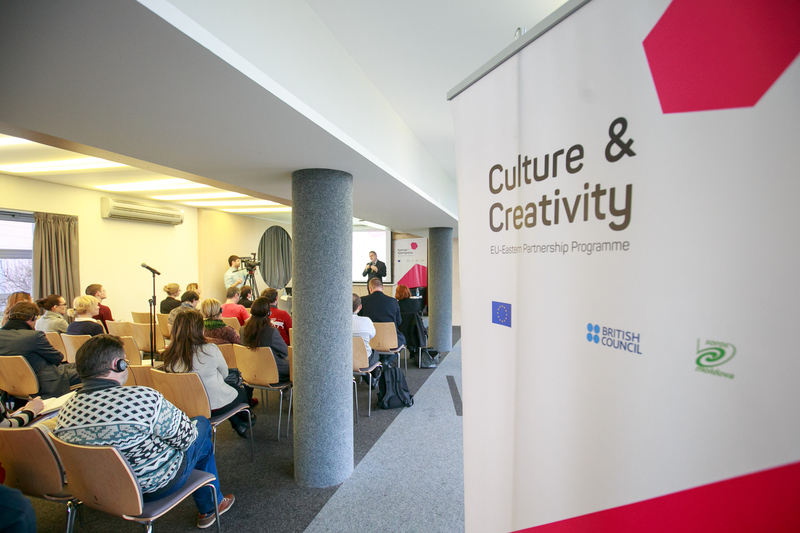 Education, acquiring new experience and expanding the potential of creative and cultural industries are the priorities of the EU Culture and Creativity Programme. 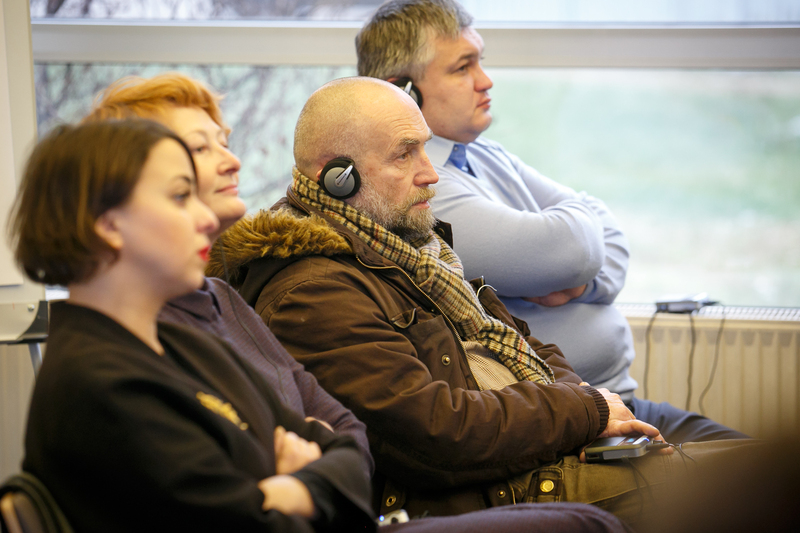 Part of its plan is to improve in the coming years the climate for creative and cultural activity in Belarus, draw up a joint action plan, and give a push to Belarusian cultural initiatives in the EU space. 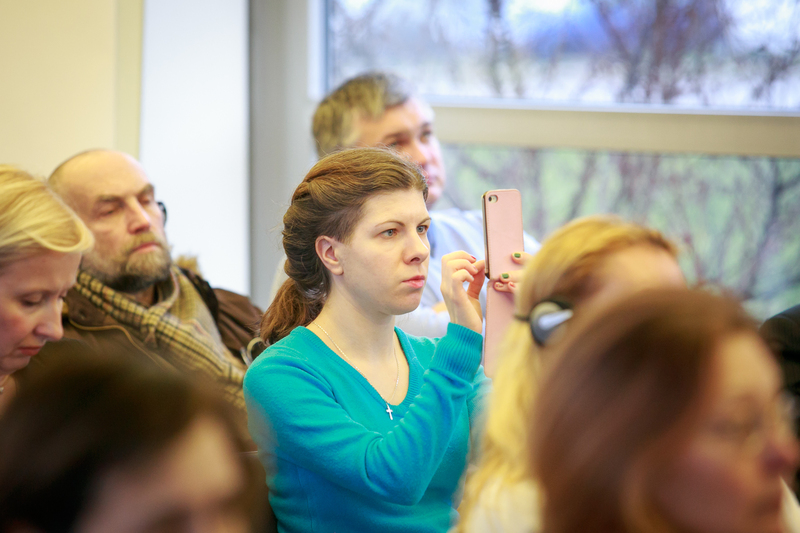 How Come Photography in Minsk Attracts Thousands of Viewers? 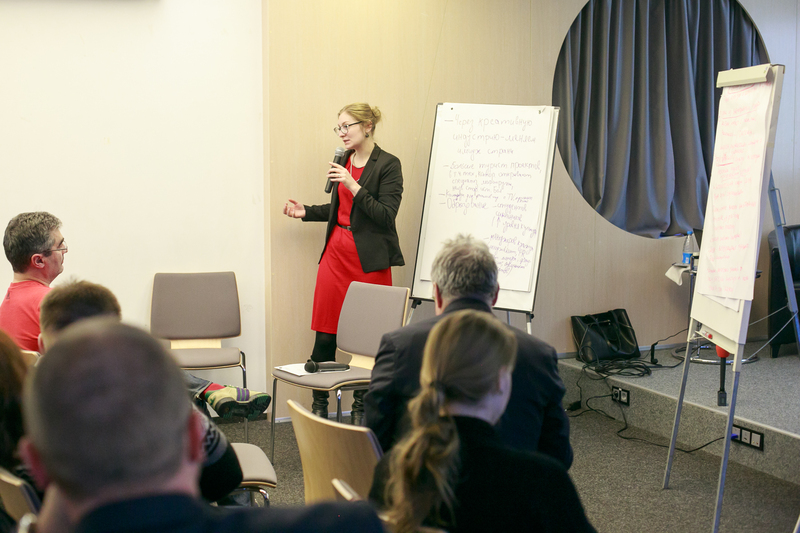 How the system of non-formal cultural education works in three European countries: the UK, France and Estonia, how it can interact with formal education and how these effects operate in the long run?